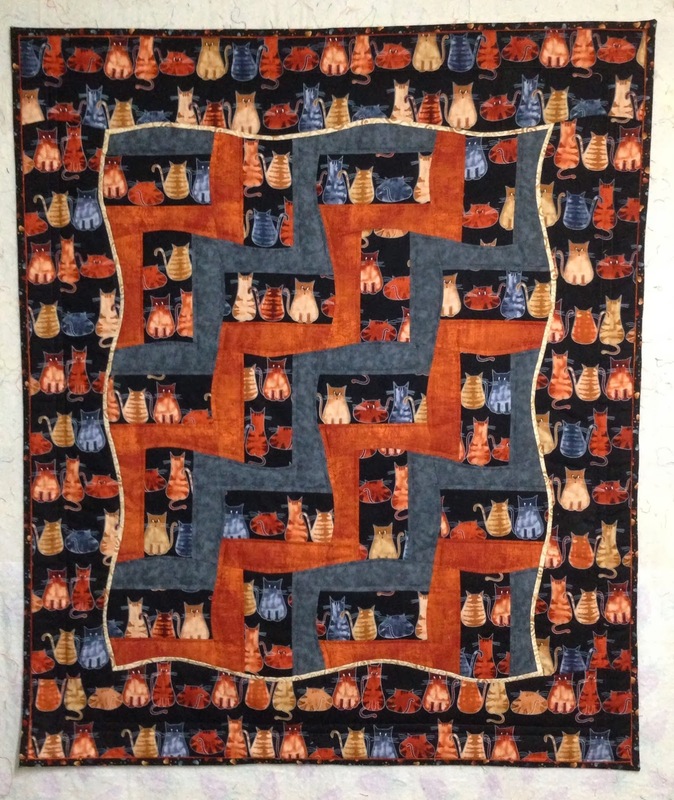 My January goal for A Lovely Year of Finishes was to put the borders on this quilt, quilt it and bind it. I am happy to report the goal has been completed, with a couple of hours to spare!! This was my second attempt at quilting a small quilt (31" x 37") on my Janome Jem. Actually it's my second attempt at quilting a small quilt on any domestic machine. I still need some work on getting everything pulled taut and basted. I used a polyester/cashmere batting, since that is what I had available. I definitely like a cotton batting better....less loft. But I must say, this quilt is already soft and cuddly. 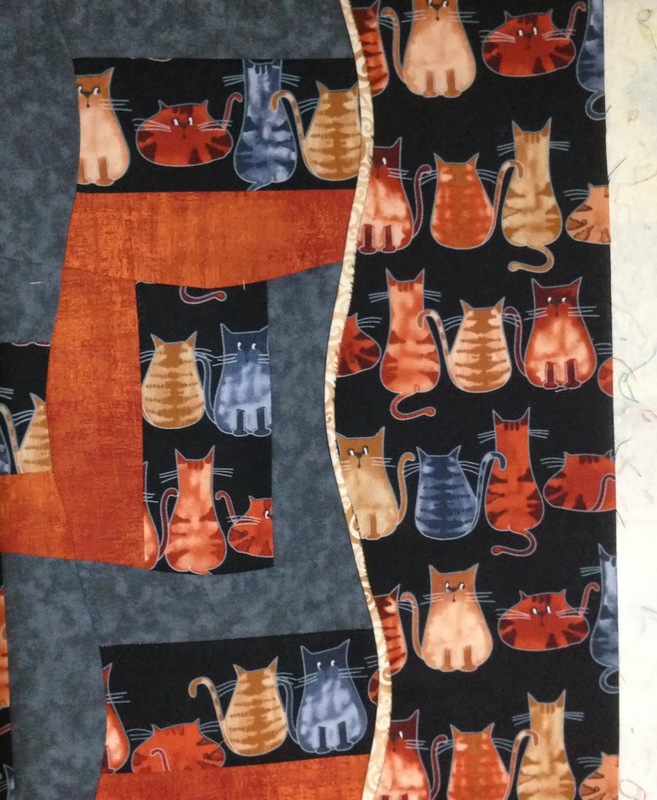 I'm glad I made this quilt my goal for the month; otherwise, it would still be unfinished. Now what will my goal be for February?? for hosting this opportunity for us to finish and show our projects. 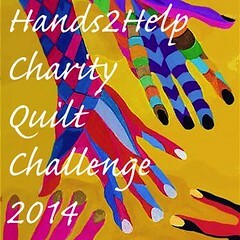 For January I'm going to finish a quilt I started a couple of years ago. I had started a small quilt to work on a new technique. The center of the quilt went together quite quickly, but I stalled out on the borders. 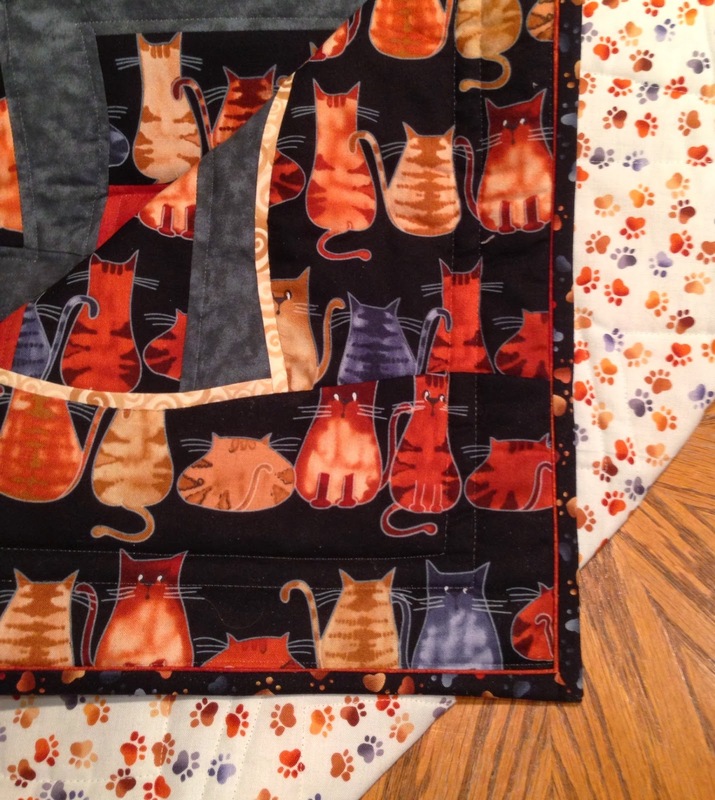 The quilt is from the book Flip Flop Block Quilts by Kathie Alyce. 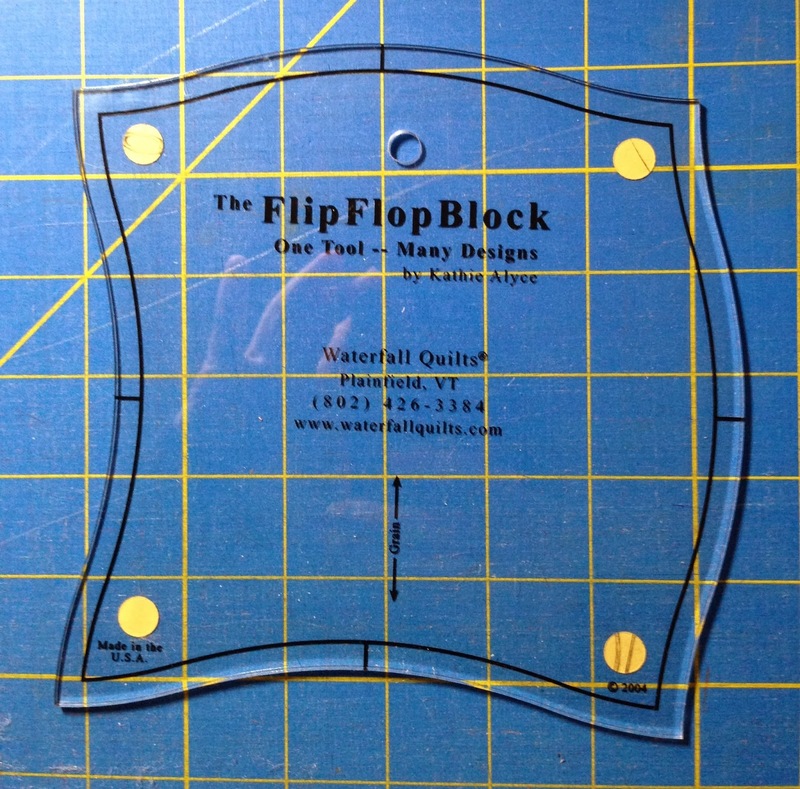 The pattern name is Ziggity-Zaggity, and it uses her Flip Flop Block ruler. all the cats sitting horizontally. 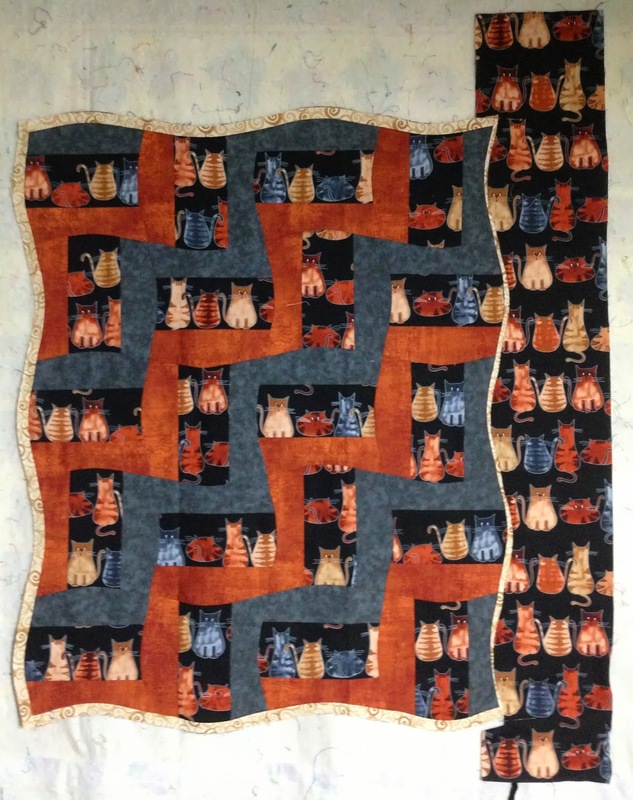 For the border pieces, I want to have the cats line up across the quilt on the two vertical borders. And I think I've cut it at a spot where, when I add the top and bottom borders, it'll appear as one complete piece used for the border. 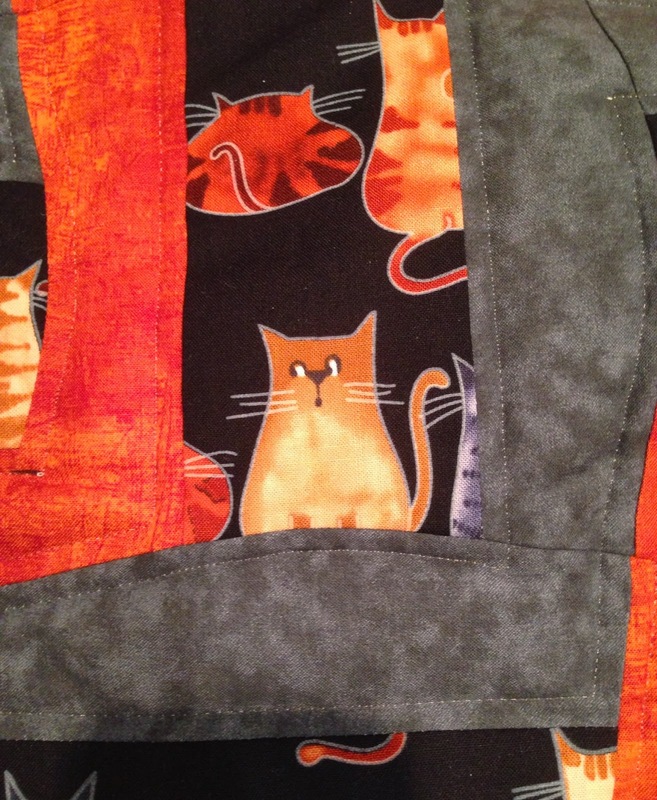 I did add a flange to separate the border from the quilt center. I will probably add a small piping with the binding, just to practice that technique. So my goal for January is to get the borders on the quilt, quilt it and bind it. It will be good to get this small quilt finished!